The SharePointOrgChart can use the standard SharePoint list display and edit dialog window to allow end users to view and even update an organization chart entry. This feature is only available for organization charts that use a SharePoint List as the data source for the chart. To begin a SharePoint Org Chart web part has been configured using a list. Refer to this guide for details on how to accomplish this. 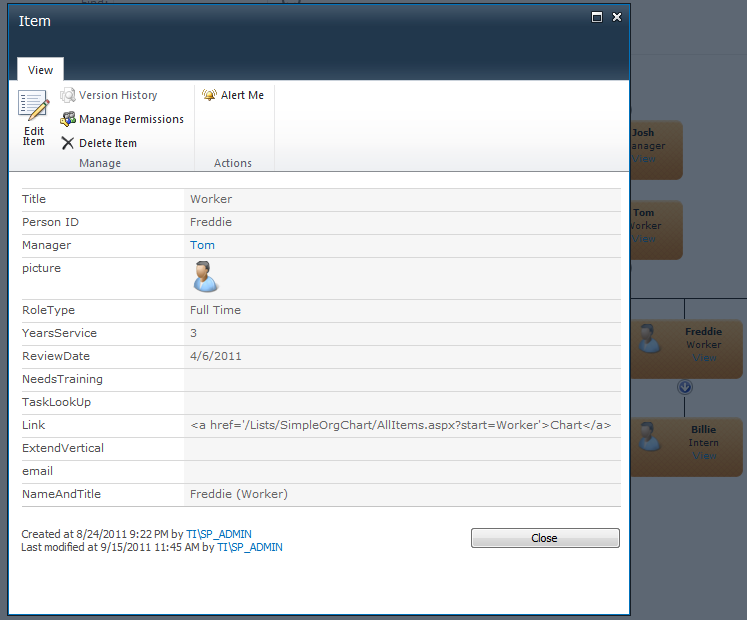 Open the configuration pane and tick the Show Item Link option in the Look & Feel property section. 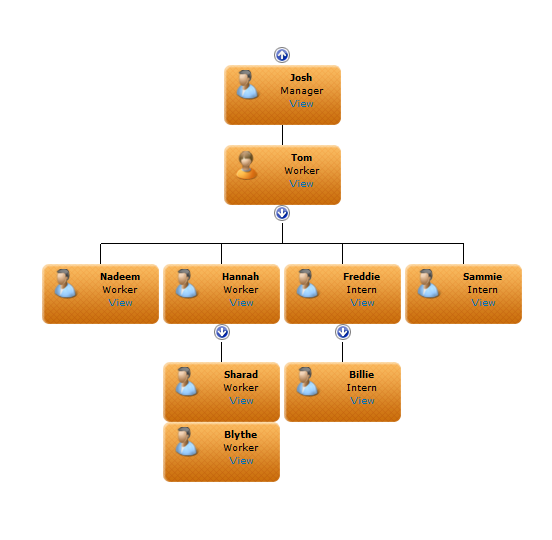 Once the change has been applied each box within the organisation chart will display a "View" link. Now the end user can click the View link to open the standard list dialog box. If the user has permission they can edit the item and once they save the change the organisation chart will be updated to reflect the modification.